The Glendale Educational Foundation (GEF) proudly announces a new initiative in our partnership with the Glendale Unified School District (GUSD) through the Teacher Grant Program. This program will make available a total of $15,000 for direct grants to classroom teachers in the Glendale Unified School District (GUSD) in our three priority areas—Visual and Performing Arts, Science and Technology, and Health and Fitness. The GEF Teacher Grants will provide much needed financial support for the classroom that directly benefits our students. The program is intended to enrich and enhance learning environments at GUSD schools by supporting innovative curriculum and instructional practices. 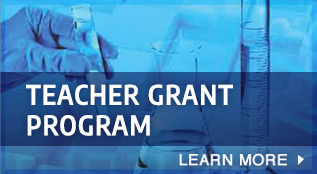 The 2017-18 GEF Teacher Grants application deadline is October 30, 2017. Download the Application and Cover Sheet. Click here to download Teacher Grant Flier.